January 20, 2010—The U.S. Consumer Product Safety Commission, in cooperation with the firm named below, today announced a voluntary recall of the following products. Consumers should stop using recalled products immediately unless otherwise instructed. Hazard: The hinges on the stroller’s canopy pose a fingertip amputation and laceration hazard to the child when the consumer is opening or closing the canopy. Incidents/Injuries: Graco has received seven reports of children placing their fingers in the stroller’s canopy hinge mechanism while the canopy was being opened or closed, resulting in five fingertip amputations and two fingertip lacerations. Graco manufactured two different styles of hinge mechanisms for these stroller models. Only strollers or travel systems with a plastic, jointed hinge mechanism that has indented canopy positioning notches (see photo below) are included in this recall. 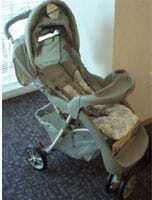 The recalled strollers were manufactured between October 2004 and February 2008. The model number and manufacture date are located on the lower inside portion of the rear frame, just above the rear wheels. 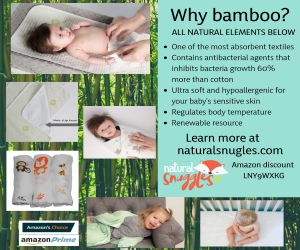 Sold at: AAFES, Burlington Coat Factory, Babies “R” Us, Toys “R” Us, Kmart, Fred Meyer, Meijers, Navy Exchange, Sears, Target, Walmart and other retailers nationwide from October 2004 and December 2009 for between $80 and $90 for the strollers and between $150 and $200 for the travel systems. Remedy: Consumers should immediately stop using the recalled strollers and contact Graco to receive a free protective cover repair kit. Consumer Contact: For additional information, contact Graco at (800) 345-4109 between 8 a.m. and 5 p.m. ET Monday through Friday, or visit the firm’s Web site at www.gracobaby.com.